There are nearly 7.5 billion humans on planet Earth, but the chosen 75 men and women make the world turn, claims the Forbes Magazine. Forbes’ annual ranking of The World’s Most Powerful People identifies one person out of every 100 million whose actions, as per their analysis, mean the most. Apparently, Pakistan’s Chief of Army Staff, General Qamar Javed Bajwa is included in those 75 people who have made up to the list, by superseding his slice of 100 million people in the world and double of this figure in Pakistan. General. Bajwa is a graduate of National Defence University, Islamabad, Canadian Forces Command and Staff College, (Toronto) Canada, Naval Post Graduate University, Monterey (California) in the USA. He has also served as an instructor at School of Infantry and Tactics, Quetta and Command and Staff College, Quetta and NDU, Islamabad. 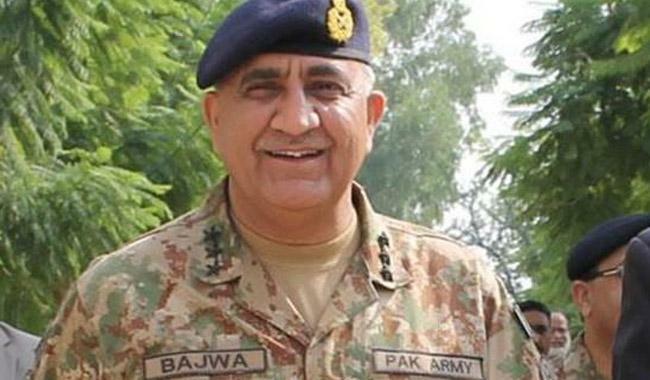 Prior to being appointed as the Chief of Army Staff of Pakistan Army, General Bajwa served as the Inspector General Training and Evaluation from 2015–16 and as a field commander of the X Corps from 2013 to 2015 which is responsible for the area along the Line of Control. In addition, he also served as a peacekeeper in the UN mission in Congo as a Brigadier and served as the brigade commander in 2007. Forbes also cited former Chief of Indian Army Staff General Bikram Singh’s annotations regarding the Pakistani Chief. In fact, General Bajwa has served in Congo under General Bikram Singh who was all praises for Bajwa’s performance. The Chief of Pakistan Army Staff has vast experience in the military field, especially in significant areas such as Baltistan and Kashmir. His approach towards Pakistan’s arch rivals and neighbours India remains passive yet firm which makes him a composed General ready to act with a clear mind rather than being impulsive. He has remained professional and away from politics throughout his term in the army which also adds to his qualities as a true military general. This year’s list comes at a time of rapid and profound change and represents our best guess about who will matter in the year to come. Forbes magazine placed Chinese President Xi Jinping at the top of the list while placing Russia’s Vladimir Putin as the second most powerful man of 2018. Reducing the US President Donald Trump to number three position in the list of most powerful personality. The German Chancellor Angela Merkel was ranked fourth in the list, making her the most powerful woman in the world. VIDEO: Pakistani JF-17 Fighter Jet integrated with Standoff weapon 2017 || India U Ready? Naeem Bukhari was born on October 27, 1948. He is a well-known Pakistani TV personality and a Senior Advocate Supreme Court. His full name is Naeem Iqbal Bokhari, born in Lahore, Pakistan to Syed Altaf Hussain Bokhari. He was previously married to popular Ghazal singer Tahira Syed (until 1990). Bukhari has two children, a son, Hasnain and a daughter, Kiran with his first wife. Both of whom are lawyers by the line of work. Naeem Bukhari then married Tamannah Khan in 1995 and has a son, Abbas and two daughters, Noor Zainab and Noor Fatimah from his second marriage. He has also hosted prominent TV talk shows including “Apne Andaz Se” on which he has interviewed a lot of famous and influential personalities of the Pakistani society. Naeem Bukhari achieved intellectual celebrity status for his well-known TV talk show appearances. With all the seemingly bad news emanating from Pakistan, a reader would not be faulted into imagining a scenario of doom for that country. Beleaguered as it has been since its involvement in the conflict following the Soviet invasion of Afghanistan, the country has faced internal strife of great proportions that threatened to dismantle Pakistan. It has, however, withstood great challenges and while not on pace with other countries, it still manages to plod on. From a low in 2009, Pakistan has shown a modest yet progressive increase in GNP for the past six years. Part of the reason could be attributed to selfless Pakistanis who have taken it upon themselves and formed NGOs which contribute to some form of stability and productivity within their society. One such NGO that has been making steady inroads at the grassroots level is Mustaqbil Pakistan. The organization was formed in 2010 as a new political party whose primary objective was to bring about a fundamental change in the way politics is conducted in Pakistan. Qureshi then lamented the deteriorating conditions at the time. Insurgency and military conflict in two of the country’s provinces, killings and abductions of civilians in many cities, unemployment, hopelessness, desperation, suicides and a shocking absence of the writ of the government. He was then very direct as to the root of the problem. The party’s aim has been to bring decent, competent, sincere and honest Pakistanis into politics. This segment of the population was previously unwilling or unable to participate in politics. Their absence had created a political vacuum which according to Qureshi had been happily filled by the ‘scum’, the reason was given for the sorry state the country was in then. Qureshi’s first thrust was to reach out to the media for support. To convince Pakistanis that they had it in their power to change their destiny, he challenged the media to tell it like it was. Realizing that to fight corruption in politics, one must first clean house from inside, the party since its inception has been working tirelessly and without any government support in introducing new faces in the country’s Provincial and National Assembly. They have been spreading their message in towns and villages and lending support wherever possible to make lives better. 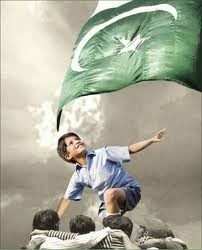 It seems many Pakistanis have picked up on his message to set their country’s path to recovery.